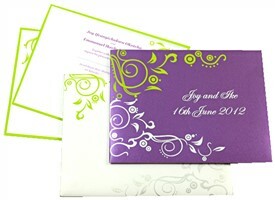 D-5085, Purple Color, Shimmery Finish Paper, Designer Multifaith Invitations. Stylish and Designer stuff! 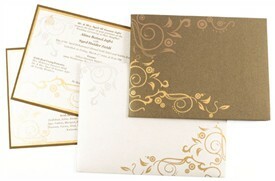 The card has motif design printed in violet and gold on front. 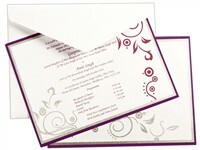 The inserts also have violet and silver border with motifs. 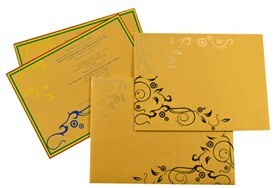 Envelope too follows the front design. 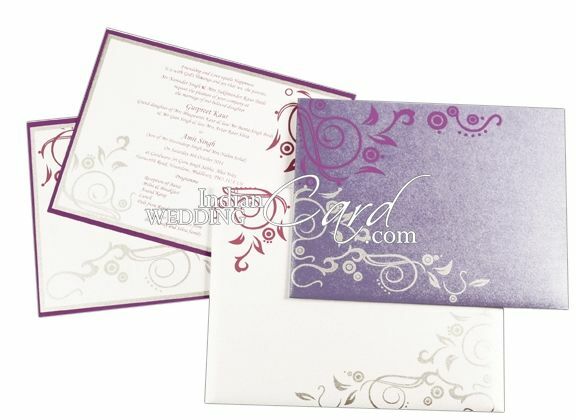 Purple color shimmery paper for card. 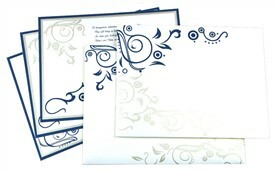 2 inserts and mailing envelope in white shimmery paper. 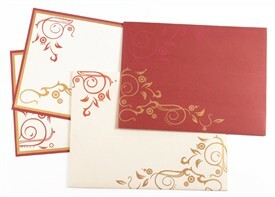 Silk Screen Printing in Purple or black color.